Hoboken University Medical Center billed a patient this amount for an ice pack and a bandage she received in the emergency department, according to Vox. Her insurance plan paid $862 toward the bill, which left her with a balance of $4,989. The hospital reversed the entire balance after Vox began asking questions about the hospital's fees. 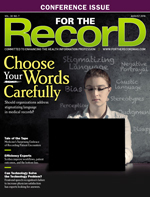 An editorial published in the Annals of Internal Medicine on EHRs and physician burnout says documentation in other countries tends to be far briefer, containing only essential clinical information and not much of the compliance and reimbursement documentation that commonly bloats the American clinical note. US doctors' clinical notes are, on average, this number of times as long as those of their counterparts in other countries, according to data collected from Epic. A survey by SAS found only this percentage of respondents was confident that their personal data used for artificial intelligence were being stored securely. Those under 40 years of age felt more confident (42%) that their information was protected, vs 31% of older respondents. This number of SAS survey participants were comfortable with their doctor using data from wearable devices, such as an Apple Watch or Fitbit, to assess their lifestyle and make recommendations based on those data. This amount has been raised to create Suki, a voice recognition assistant for doctors that allows them to simply start talking aloud to take notes when working with patients rather than having to put everything into an EMR. According to TechCrunch, Suki takes what the doctor says, captures it into a clinically comprehensive note, and then pushes it to the underlying EMR. According to "Clinical Trial Participants' Views of the Risks and Benefits of Data Sharing," published in The New England Journal of Medicine, only this percentage of survey respondents felt that the potential negative consequences of data sharing outweighed the benefits. The respondents' greatest concerns about data sharing were that it might make others less willing to enroll in clinical trials (37% very or somewhat concerned), that data would be used for marketing purposes (34%), or that data could be stolen (31%). The EMR market was $29.7 billion in 2017 and is expected to rise to this amount by 2022, according to Kalorama Information.